Rachel Zinman was diagnosed with diabetes in 2008 at age 42, which she now knows to be type 1 Latent Autoimmine Diabetes in Adults (LADA). Rachel lives and breathes yoga, and passionately shares with others how yoga can help with managing diabetes. I absolutely love Rachel’s unique perspective on a delayed onset of type 1 and having to slowly coming to terms with insulin. 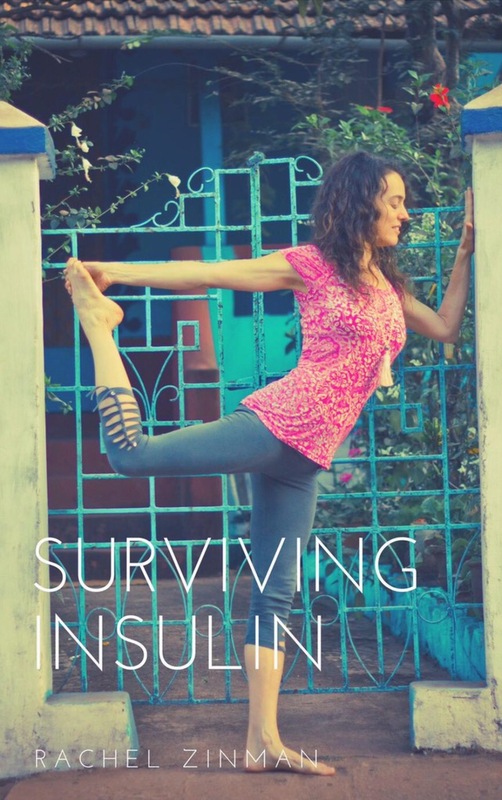 Today I’m sharing an excerpt from her new e-book, Surviving Insulin, and you can grab your free copy here. People still think I’m the same as I was pre diagnosis. It’s hard for them to wrap their head around the fact that I’m not in control anymore. There was the life I had before diabetes, the one where I ate pretzel croissants, pizza bread and chocolate and the one I have now; low carb meals, afternoon walks and 15 finger pricks a day. The only person with diabetes I ever knew was when I was in high school. I can still remember her ID bracelet circling her wrist and the diabetic friendly sweets she ate on the bus. She never complained and never explained. I knew it was something awful but how can anyone understand what it’s like to live with a disease that requires your attention all day, every day. I have never felt so guilty about food in my life. Always asking myself; did I eat too much? too little? did I walk enough? inject enough? And by the way…. I am sick of people telling me how strong and brave I am. F-k that! If I could jump off the dia-boat I would. Who wouldn’t? Bravery and strength have nothing to do with it. How would you feel if you got lumped with something you didn’t ask for and didn’t do anything to get? That’s why I get so frustrated when everyone keeps asking why it took me so long to go on Insulin. If you’d been in my shoes? Wouldn’t you have tried everything too? I don’t regret one minute of trying something alternative. Each practitioner gave me hope. I think that’s what someone who doesn’t have diabetes doesn’t quite grasp. It’s hard not to equate the words “no cure” with “no hope”. I’m still hopeful, but I’ve learnt to be realistic. I take my time with just about everything now and it’s not because I’m into “self care.” If I rush out the door and don’t have everything I need its a disaster. People say they admire my discipline. But the truth is… if I could drink martinis and pig out on ice cream I would. So do I believe in fate? Not really…. It’s like you get what you get. And Yes I’m angry enough about the unfairness of it all to punch a wall. But I also feel grateful. Before diagnosis there was no off switch. I was used to doing, eating and behaving as I saw fit. I made up my own rules and lived my idea of what it meant to be healthy. I ignored the medical establishment and put my faith in things that eventually wore thin. That’s not to say that I don’t use alternative health and healing methods to accompany my allopathic regime. It just means I’m no longer hiding in the cupboard at the thought of taking a Panadol. And gratitude has been a big plus in my life. Everyday I literally imagine humbling myself at the unknown machinations of creation. There are some things that can’t be answered. Understanding that I’m not alone in having unanswerable questions makes things easier to bear. But that doesn’t mean that some days aren’t crappy. So… If like me, you don’t feel like being grateful or couldn’t be bothered with self care and wind up telling your friend to go jump in a pond because they’re just not getting it? Rachel also blogs at yogafordiabetesblog.com, and you can follow her on Facebook, Twitter and Instagram. 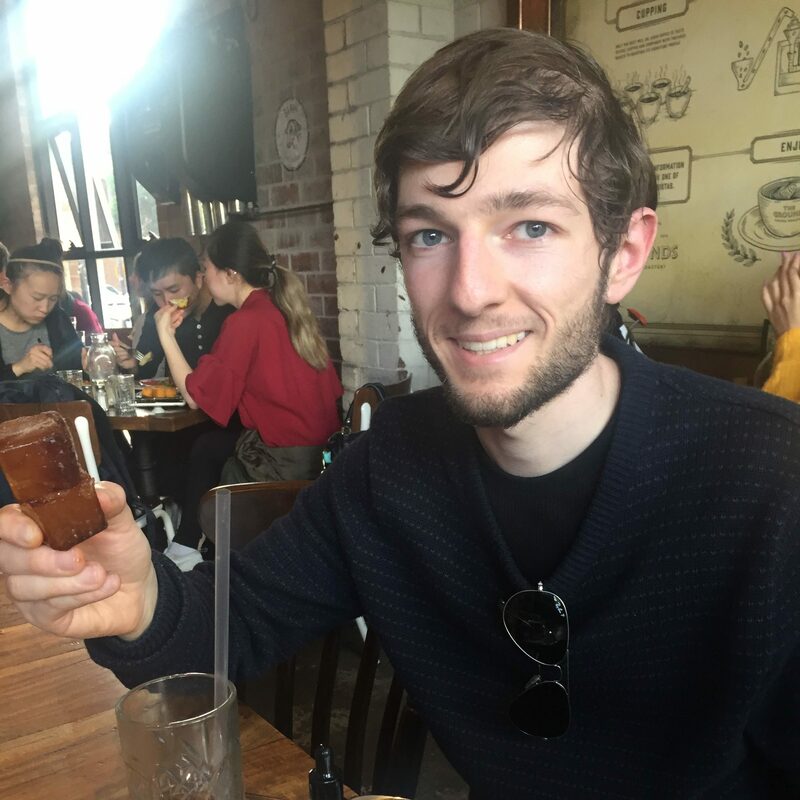 I have been type 1 for 42 years. Yes I feel grateful as well. Not grateful I have diabetes, rather that I live with diabetes and I am still alive. Well said Rick, I’m not grateful for diabetes but for every day well lived despite it. Rick I am so glad you are still here too and love your insights in your blogs. Its the stories that give me support and encouragement to be grateful! Frank so much for sharing my story and thoughts about living on Insulin. Every day has its ups and downs and There’s so much to learn. When we share our stories it makes it all so much better!